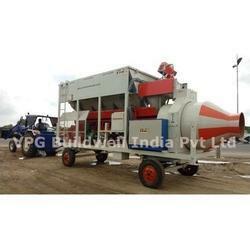 Providing you the best range of mobile automatic concrete batching plant, 3 bin feeder concrete batching plant, mobile concrete batching plants, mobile batching plant, stationery type batching plant and mobile hot mix plant with effective & timely delivery. The Mobile Automatic Concrete Batching Plant manufactured and supplied by us in the market, are widely praised for their efficiency and effectiveness. Manufactured as per the set industrial standards, using raw materials of the highest grade, these plants of high quality are quite sturdy ad durable in nature. Further, we offer this product to our clients at the best rate possible. 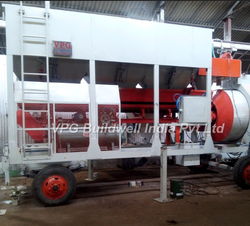 Owing to the rich experience in this domain, we have been able to offer high quality 3 Bin Feeder Concrete Batching Plant to our valuable customers. Manufactured in compliance with the industry laid standards, these units are commonly used in various constructional industries. As per the specifications provided by the customers, these units can be custom designed. 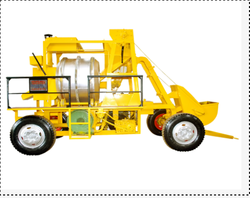 Our company is instrumental in offering optimum quality Mobile Type Concrete Batching Plants to our esteemed customers. These plants are widely used in different construction industries. Manufactured as per the industry laid standards, these plants are known for their long functional, low maintenance and optimum performance. We offer premium quality Mobile Batching Plant to our valuable customers. Manufactured as per the industry laid standards, these plants are widely used in different constructional industries. These plants are manufactured using advanced machinery, which is based on cutting-edge technology. Our company is instrumental in offering high quality Stationery Type Batching Plant to our valuable customers. The offered plants are commonly used in different construction industries. Owing to the easy installation, minimum maintenance and impeccable design, these plants are highly demanded in the market. 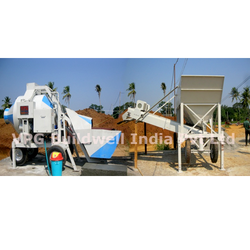 We are counted as one of the leading manufacturers of Mobile Hot Mix Plant. For the purpose of living up to the reputation, we use the highest grade of raw materials available and the most sophisticated machinery. Its commendable strength and resistance to corrosion make it one of the best. Further, its ability to mix concrete quickly makes it highly suitable for various construction industries. We are instrumental in offering fine quality Hot Mix Plant to our esteemed customers. Available with us at highly affordable market prices, these plants are used in construction industries. Due to the impeccable design, flawless finish, long functional life and minimum maintenance, these plants are highly demanded in the market. 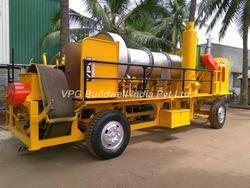 Looking for “Mobile Automatic Concrete Batching Plant”?